Karnataka: The union government’s recent announcement on raising a medical practitioner’s service tenure to 65 years has met with varied reactions. Karnataka State Health Minister, U T Khader has responded by saying rural deployment of doctors should have been considered priority, instead of increasing years of service. Yet others feel urban rural doctor ratio needs to be pondered upon. 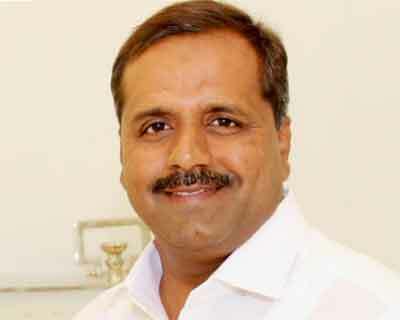 Reacting to Prime Minister, Narendra Modi’s recent announcement on service tenure for doctors, the Karnataka State Health Minister, U T Khader responded by saying, “The Union Government policy makers could have focused on deploying doctors at rural areas rather than extending the retirement age of government doctors.” He further added that service tenures of doctors willing to work in the rural segments of the country should have been increased instead of that of all. Highlighting the state of affairs in Karnataka, a doctor concentrated state, Mr. Khader said that there was no dearth of doctors in urban Karnataka, however, there was paucity of practitioners in rural Karnataka. Mr. Khader felt that the centre’s decision was not a thought out one, as it would only help fill up administrative posts based on seniority; while the actual problems of health in rural India would continue to persist, in the face of doctor reluctance to be posted there; not to forget the absence of sound recruitment policy on the part of the government. Karnataka State Government Medical Officer’s Association, President, Dr Veerabhadraih, agreeing with the Chief Minister’s point of view furnished details about how doctors shirk rural appointments by paying penalties and opting out of rural tenures. Opinions were also expressed on working ages of doctors in private medical institutions being 70 years. According to some opinions expressed productivity was lessened and so was efficiency in these cases. However, some doctors said that these doctors were valuable due to their experience spans, for the younger ones. He said, the government should focus on maintaining the ratio of doctors working in the urban and rural areas. “This would definitely help the doctors share the knowledge and experience with the younger doctors and amongst themselves,” he added.